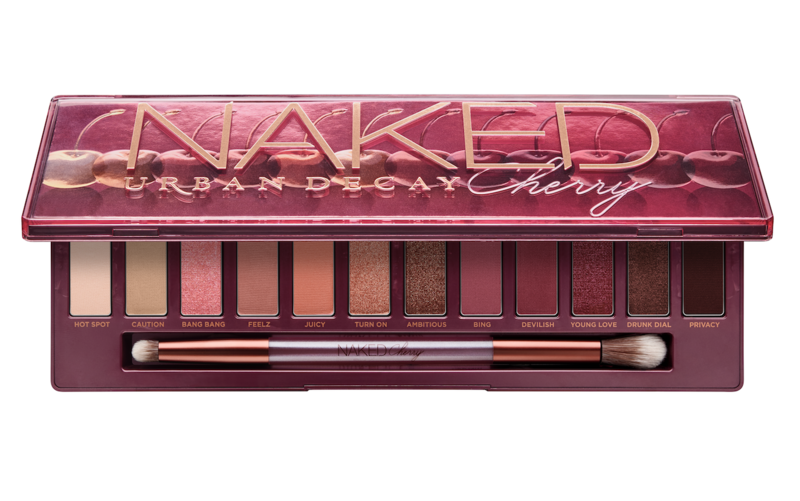 We’re all familiar with Urban Decay’s cult favourite Naked Palettes, and we’re more than ecstatic to reveal the latest addition to the list – the Naked Cherry Eyeshadow Palette! Time to start saving up! 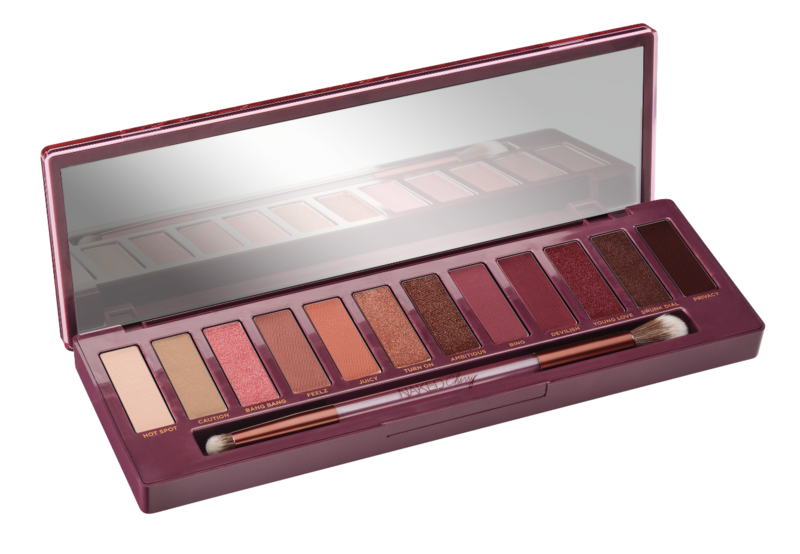 Undeniably the main feature of the Naked Cherry collection, the eyeshadow palette – 12 all-new shades in mattes, metallics and shimmers – is full of crimson hues that are perfect for a night out. 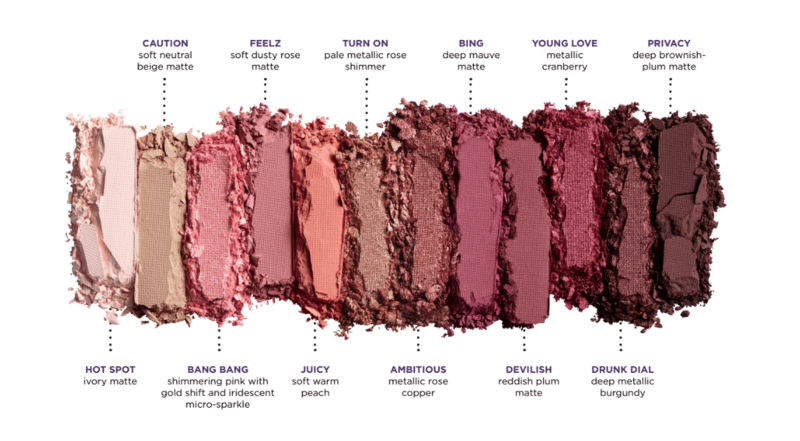 Go vampy or keep it light, these shades are versatile for all kinds of eyeshadow styles. And of course, it comes with a full-size mirror – we’d expect nothing less from UD. What more can we say? It’s on our wish list! We love it when palettes come with brushes that are ACTUALLY useful. 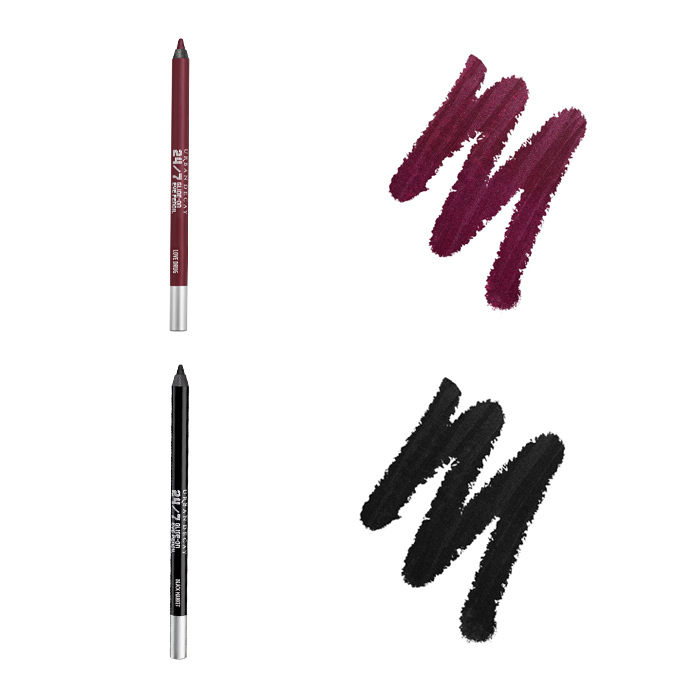 With this double-sided brush, you can pack on the pigments and blend them out with just one tool. Not so much a waste of packaging space (yay for us!). Might we add that the cover makes the palette look like a box of sweets?! Positively tempting! 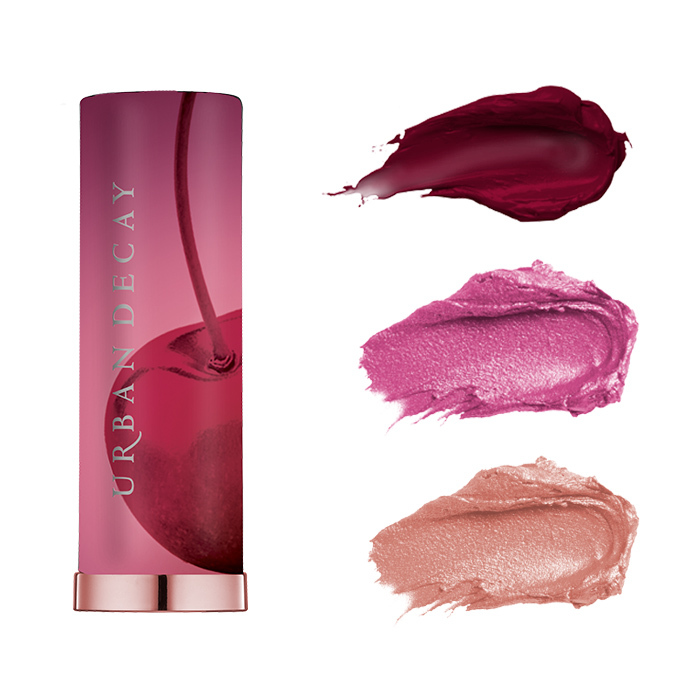 Additionally, the collection also includes 3 limited edition shades of the Vice Lipstick ($31) – Cherry, Devilish and Juicy– 2 new 24/7 Glide-On Eyeliners ($33) and a Travel-Size All Nighter Makeup Setting Spray ($22) in the Naked Cherry packaging (it’s also white cherry scented)! 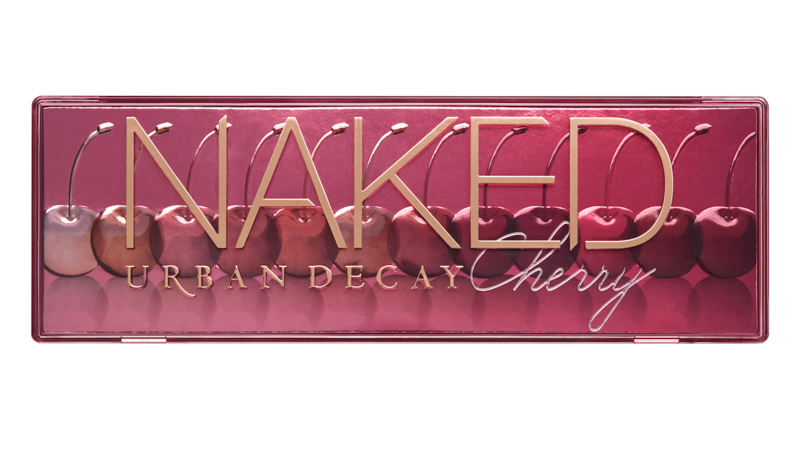 The Naked Cherry collection is available from Sephora stores and online at sephora.sg/urban-decay from 11 October and at the Urban Decay Freestanding stores and online at lazada.sg/shop/urban-decay-official from 25 October.